Luke 21:25-36, the gospel text appointed for the First Sunday in Advent in the Year of Luke certainly bears a striking resemblance to Mark 13, a text from which we have just read for the Third Sunday of End Time in the Year of Mark. Several noteworthy differences, however, between Luke's apocalypse and Mark's, lift up the different emphases of these two writers. Luke adds a word of hope in verse 28: "Now when these things begin to take place, stand up and raise your heads, because your redemption is drawing near." Also, Luke's ending is very specific: "Be alert at all times, praying that you may have the strength to escape all these things that will take place, and to stand before the Son of Man." 1. How does the Word function in the text? The words of Jesus in this text function in all the ways that the Word can function: law, gospel, and a call to obedience. We hear the word of Law (You need Jesus!) in the opening verses as Jesus describes how "People will faint from fear and foreboding of what is coming upon the world." 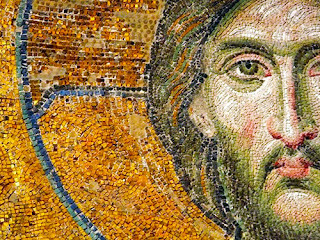 Countering that, we hear a clear word of Gospel (Here is Jesus!) as Jesus describes the fig tree and how its green leaves signal the coming of summer. Finally, we have also a call to obedience (Follow Jesus!) as Jesus warns his followers to "be on guard" so that "that day does not catch you unexpectedly." 2. With whom are you identifying in the text? This is an interesting question because we are all both sinners and saints. We are both those who have reason to "faint from fear" at the coming of the Son of man, and those who can rejoice because our "redemption is drawing near." 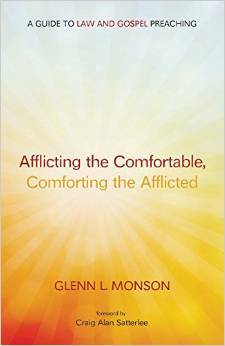 It is important to note that disciples of Christ are not here exempted from suffering. There is no talk of a rapture when God's people are carried off unscathed while the world groans in agony. For this reason, because followers of Jesus suffer along with the nations, it will be important for the preacher to recognize both the listeners' need for redemption as well as the promise of redemption. 3. What Law/Gospel couplet is suggested by the text? Because of the presence of both Law and Gospel in this text, several examples readily come to mind: cowering in fear/raising our heads; winter/summer; heaven and earth passing away/a new heaven and earth formed. 4. How does the Crossing Community model work with this text? Archived under 2013 Year C Gospel for the First Sunday in Advent, you will find an excellent example of the crossing model working with this text. Timothy Hoyer lays out clearly the external, internal, and eternal problems and solutions lifted up by this text. I particularly like his emphasis on God's action by which "the powers of the heavens will be shaken." He presents this as the eternal problem, and then, just as effectively, shows us how the redemption we have in Christ provides the eternal solution. All this can be found at crossings.org/text study. 5. Exegetical Work: Fred Craddock's insightful commentary on Luke (Interpretation series) provides some wonderful counsel summarizing this text: "Whether we go or he comes, personal theological preferences do not alter eschatology, and contemplation of that fact should have some sanctifying influence. Such thinking should keep our souls athletically trim, free of the weight of the excessive and useless. Such thinking should aid us in keeping gains and losses in proper perspective. Such thinking should chase away the demons of dulling dissipation and cheer us with the news not only that today is a gift of God but also that tomorrow we stand in the presence of the Son of man."